Three tenants who say cops forced them into signing away their constitutional rights are banding together to challenge the NYPD’s use of the city’s nuisance abatement law. “It’s not about money. It’s about doing what’s right,” said David Diaz, one of the three filing suit against the city and the NYPD over their alleged abuse of the decades-old law. The NYPD has called the decades-old law a “key component” of its ability to close down locations that have become hubs of illegal activity, such as unruly nightclubs, drug houses, brothels, and more recently, bodegas selling synthetic marijuana. But an investigation by the Daily News and ProPublica — which analyzed more than 1,100 cases filed during 2013 and the first half of 2014 — found police also frequently filed the civil actions against households where one or two family members had faced flimsy drug charges that were ultimately dismissed, and bodegas caught selling beer to undercover auxiliary officers. The targets were almost exclusively located in black and Hispanic neighborhoods. The lawsuit, which is expected to be filed in Manhattan federal court on Wednesday and will be seeking class action status, argues police routinely use orders to close down locations before the occupants have been given a chance to appear in court. The suit also argues that police use the threat of eviction as leverage to coerce people into signing away their constitutional rights. In order to settle their cases, two of the plaintiffs agreed to bar specific family members from their apartments forever, even though some of those relatives were never prosecuted for the drug activity alleged in the nuisance complaints. 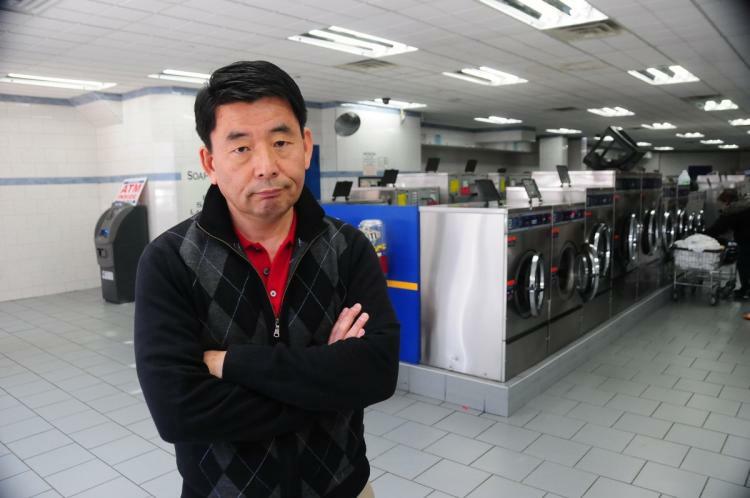 The third plaintiff, a laundromat owner in Inwood named Sung Cho, had to agree police could conduct warrantless searches and review his security footage at any time. David Diaz, 40, was convinced by an NYPD attorney to agree to ban five people arrested at his house during a memorial party, even though only one of them was convicted. None of Cho’s employees were accused of a crime, but that is inconsequential under the nuisance law — the location is technically the primary defendant. The police claimed in court filings that Cho’s business was facilitating an illegal fencing operation because an undercover detective sold “stolen” electronics to people hanging out there on two occasions in 2013. As was routine in nuisance settlements, Cho agreed to give up his right to a hearing before being fined and closed if police accuse anybody of breaking the law there in the future. The terms continue in perpetuity, and pass on to any new buyer or partner in Cho’s business, which he said makes it essentially worthless. It also seeks to nullify any provisions that strip people who were not convicted of a crime of their right to live with family members, to be free from warrantless searches and for defendants to have a hearing before being penalized in the future. And it would make innocence a defense under the law. “We’re prepared to take this case all the way to the Supreme Court,” said Robert Johnson, the lead attorney on the case. The law group has won four of the five cases it has brought before the high court, and recently, a partial settlement in a case against the city of Philadelphia challenging the constitutionality of its civil forfeiture program. The city agreed to discontinue many of the same practices at issue in the New York case. Jameelah El-Shabazz had to agree to bar her son from ever returning to her home in order to have her closing order lifted. 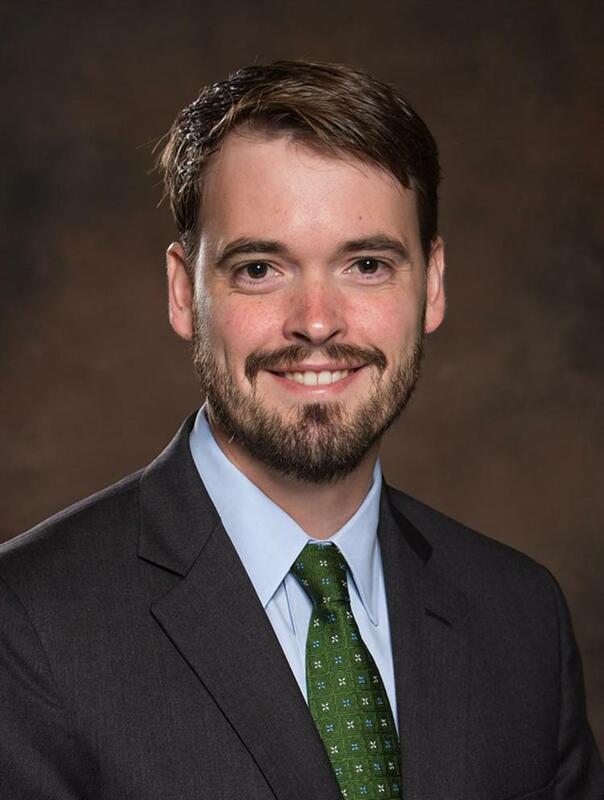 Johnson said the new case seeks to have the courts recognize that renters are entitled to the same constitutional protections as property owners. The suit is seeking a token $10 in monetary damages for each named plaintiff. 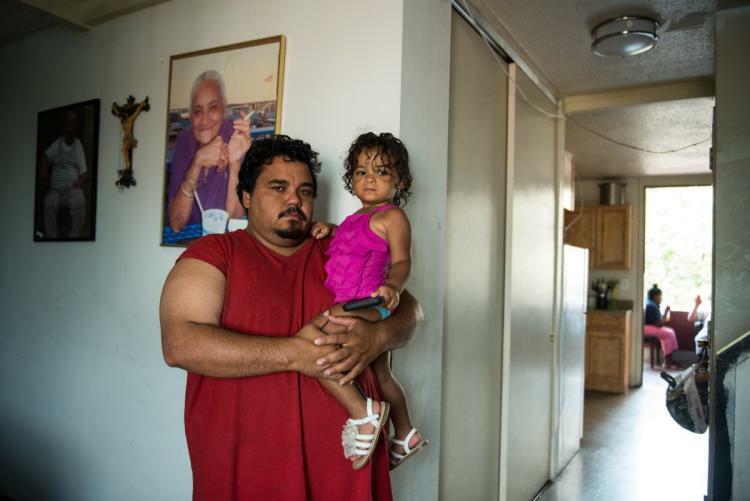 Diaz is a 40-year-old single father who works as a custodian at a synagogue. Police searched his East Tremont apartment in 2013, the morning after a family memorial party for his late mother. They found two rocks of cocaine, a scale, a straw, razor blades and three plates covered with cocaine residue in the bedrooms where two relatives were staying, records show. Police arrested all seven adults in the apartment at the time, but only one person was convicted, records show. Four months after the arrests, police served Diaz with the closing order in the nuisance case. He says they allowed him to stay because he has a small child. When he showed up at Bronx Supreme Court for his first appearance, he said an NYPD attorney, who he mistook for a court-appointed lawyer, pulled him in the hallway and convinced him “fighting the case is not worth it because I could be homeless.” So Diaz settled, agreeing five of the people who were arrested would never come to his house again. “It’s basically like taking your family away from you. They can’t come for the holidays — there’s a lot of hardship to it,” Diaz said. Sung Cho had to agree to allow police to conduct warrantless searches and reviews of his security footage at any time, even though none of his employees were accused of a crime. The third plaintiff, Jameelah El-Shabazz, had to agree to exclude her son from her home forever in order to get her closing order lifted. The NYPD had said in nuisance filings that narcotics detectives seized 45 cups of cocaine from a bedroom during a 2011 search. But a laboratory test of the powder came back negative for narcotics — El-Shabazz said it was crushed eggshells that she uses in a spiritual ritual — and nobody was prosecuted in the criminal case. Four months later, she was served with the nuisance case and an order closing her apartment until it was decided. 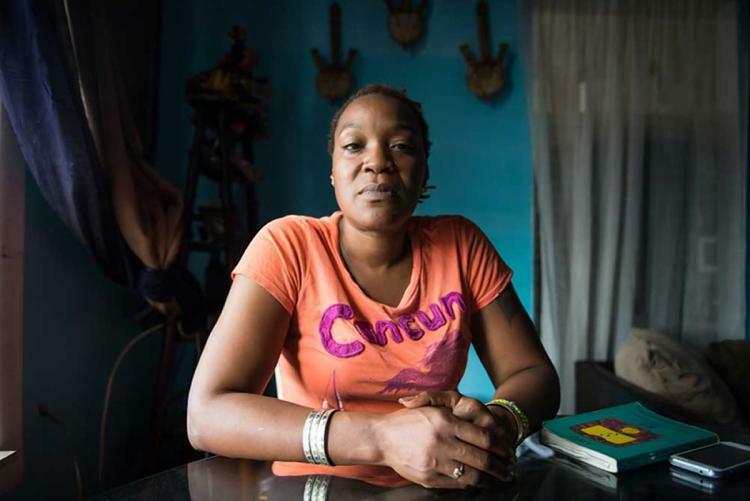 El-Shabazz, who had four of her children living in her apartment at the time, said she didn’t realize the settlement she signed meant her son Akin Shakoor, who is now 27 and has had several run-ins with the police, could never return. The News and ProPublica has found fewer than half of those who were excluded from apartments or gave up leases as part of settlement agreements were convicted in the underlying criminal investigation. Many weren’t even prosecuted. “The mere fact that someone’s been arrested is just not a reason why they should be kicked out of an apartment,” Johnson said. All three plaintiffs were featured in The News/ProPublica series in February. If the judge approves class action status and the plaintiffs win, the outcome would affect “hundreds or even thousands” of business owners and residents who have signed settlements in nuisance abatement cases, Johnson said. Robert Johnson of the Institute for Justice is the lead attorney on the case. This would be the second federal lawsuit filed in response to The News and ProPublica’s series. Austria Bueno, a housekeeper who lives in the Queensbridge Houses, filed the first case. Her family was shut out of their home for four days in December 2015 after the NYPD taped a closing order to their door based on 10-month-old evidence of drug sales, records show. There’s no indication anybody from the NYPD contacted the city housing authority to verify whether the alleged drug dealers still lived in the apartment, and as it turned out, they had moved eight months prior to the order being served. But city attorney Nicholas Ciappetta argued in a motion filed last month that Bueno “was not entitled to any additional process” before being kicked out of her apartment. A recent analysis of cases by The News and ProPublica indicates that the NYPD has amended its practice of seeking complete closures of homes while the nuisance case is being decided.